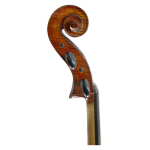 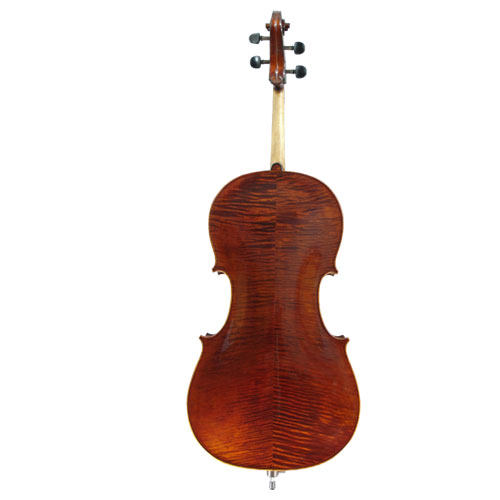 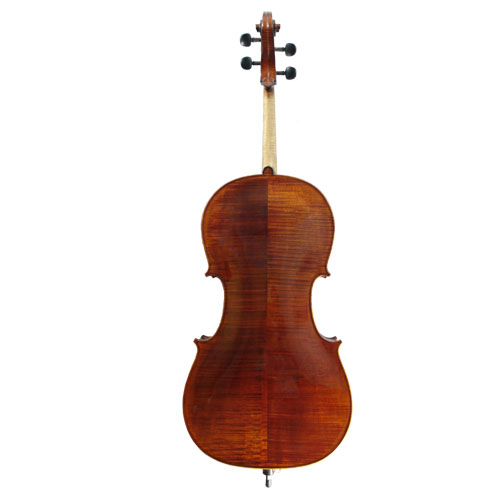 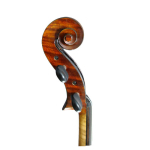 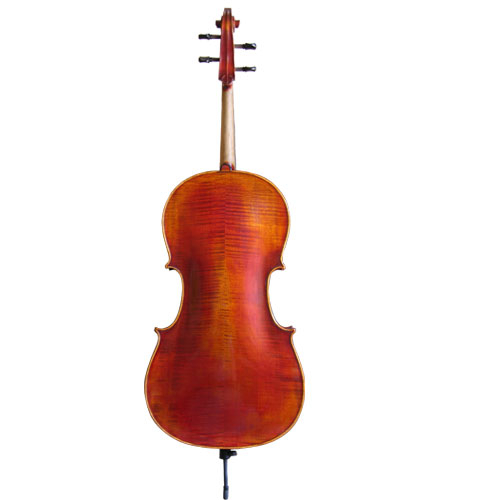 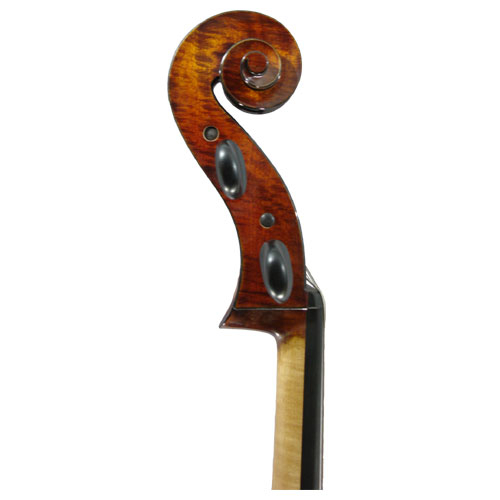 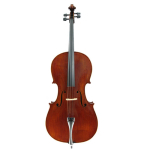 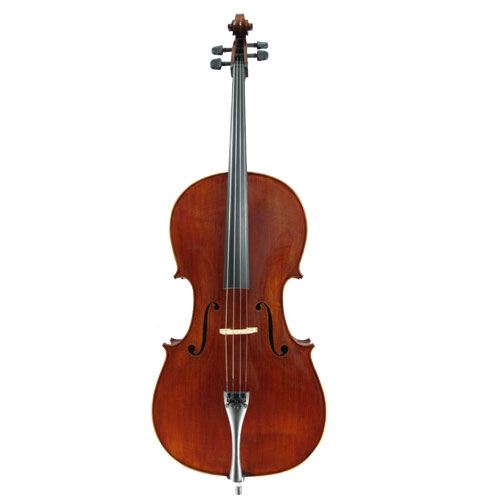 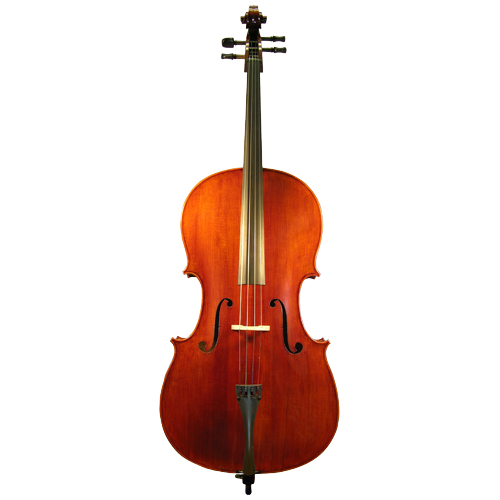 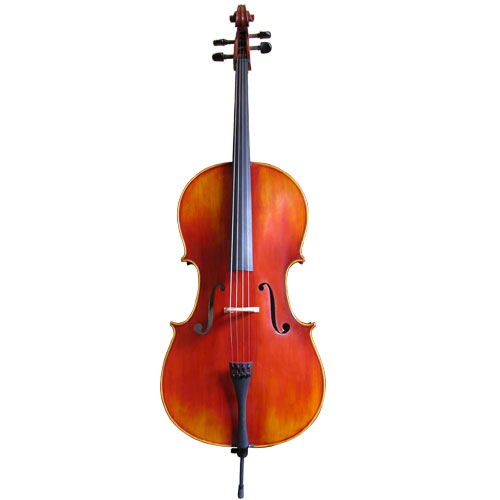 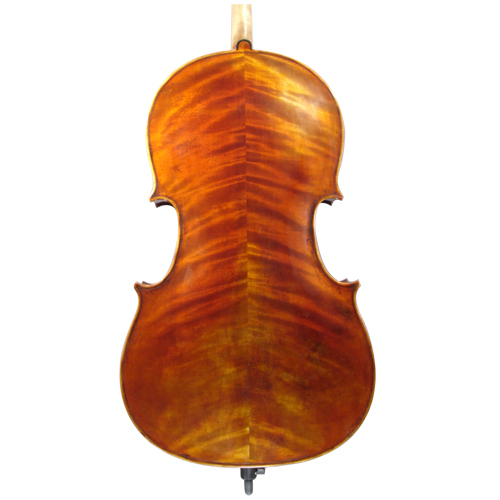 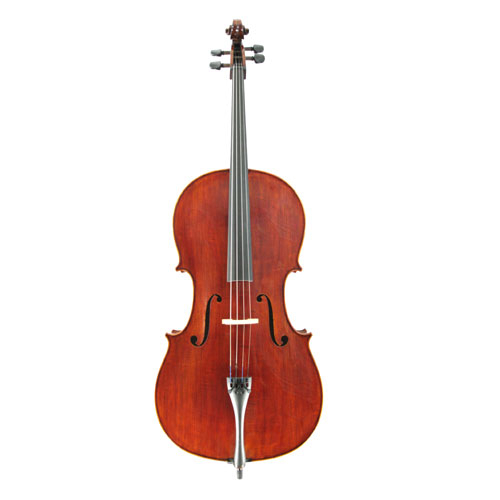 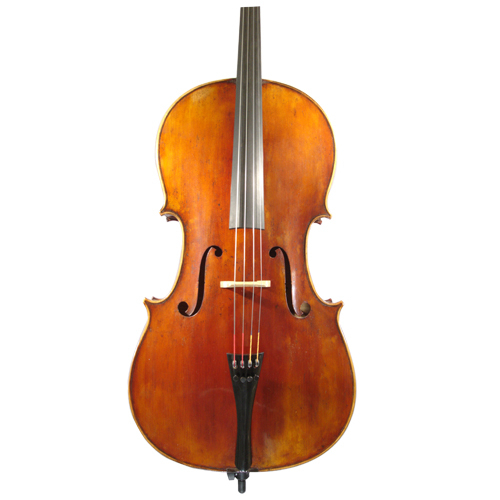 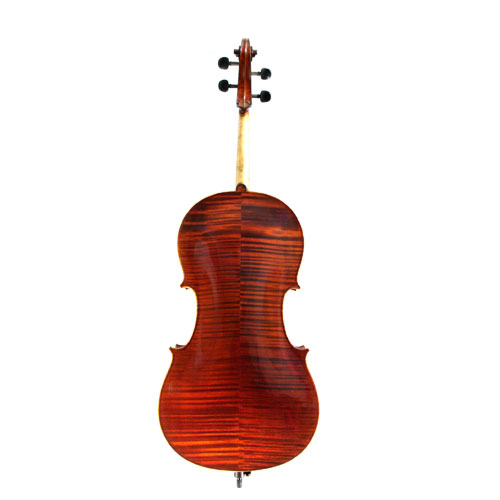 CAC800A model cello with perfect professional workmanship. Well flamed maple and fine grained spruce. Reddish brown with black crown on back.